This DIY Black Spruce & Vanilla Foaming Hand Soap is gentle to the hands with repeated washing. 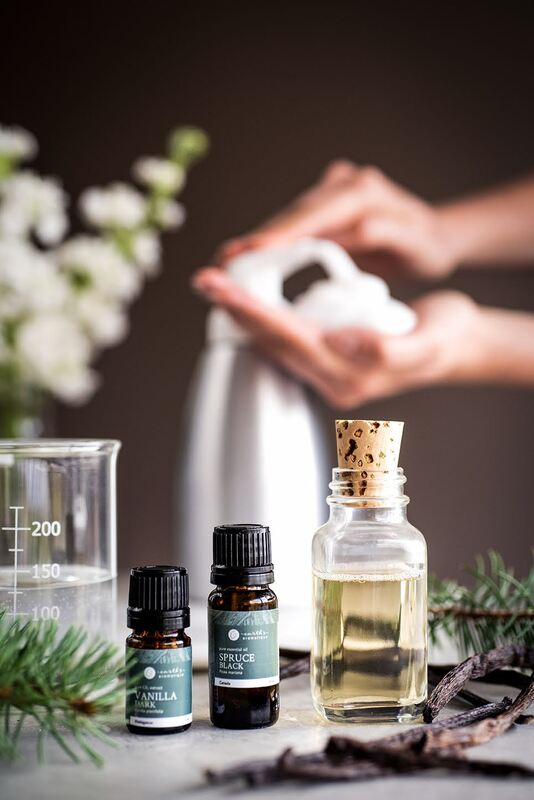 We love the fresh, wintery scent of spruce that is sweetened with a hint of vanilla, but feel free to customize. Using a funnel add the hydrosol, the castile soap, purified water and essential oils. Cap, shake well and label. Use in place of commercial soap bottles and refill as needed. Optional: Try different essential oil blends. One of our favourites is Wintermint from Earth's Aromatique.